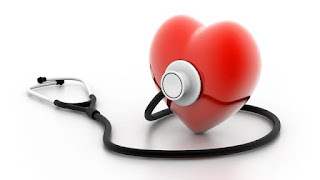 I am going to post a mantra in this post which will be very beneficial for those who are suffering from heart problems like hyper tension (High Blood Pressure), Ischemia. This mantra belongs to lord Sun which also rules over heart in Astrology. This mantra is so powerful that it can open blocked arteries as well. Other Tips: Along with this mantra some other things also help in heart diseases. 1) Wearing a 12 mukhi and a 5 mukhi rudraksha together in a black or red thread around neck helps in heart diseases. 2) A person who is suffering from heart problems should offer water to Sun daily. 3) Anulom Vilom pranayam works like wonder in heart problems. Please ensure that you consult a yoga expert before doing it daily. These remedies will be very beneficial in completely curing the heart problems. 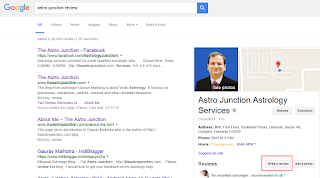 If you liked this post or this blog, please click on this link https://goo.gl/f8Tqvp You will get a google search page like as shown below. 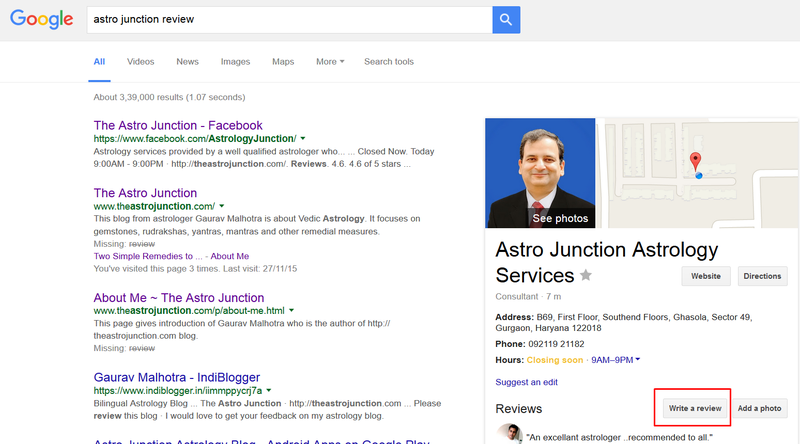 Please click on the “Write a Review” button on the right hand side (as highlighted in red in the following image) to leave your valuable comments. Thanks in advance. I will be excited to see your valuable comments. upanishad. Efficacy is well tested & documented as well..